Your fiancé visa lawyer will also submit Form I-485 to USCIS for the adjustment of your fiancée’s status to LPR. In applying for LPR status, as well as the necessities listed above, your K1 visa lawyer will submit all required forms and documents, in addition to essential proof that your marriage is valid. Your fiancée can usually obtain some benefits before his or her LPR status is approved and he or she is given a non-conditional green card. These benefits include permission to work and permission to travel, and can make life easier during the wait time before your spouse can pursue citizenship. It is therefore advisable that you seek assistance from an immigration attorney or an immigration lawyer. Keep in mind that errors in filing applications can result in delays or denial of LPR status, making it essential that K1 visa holders continue to work with an experienced fiancé visa lawyer when applying for adjustment of status. Once your fiancée comes to the US on a K1 visa and the two of you are married, your fiancée can obtain conditional permanent resident status for two years. 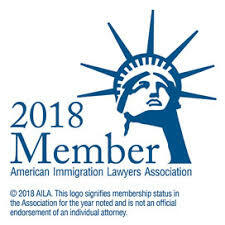 After two years, if your spouse has not violated US law, and you can demonstrate to USCIS that you are still married and your relationship is legitimate, your spouse can obtain LPR status and a non-conditional green card. You will need to apply to have conditions removed from your spouse’s residence status within 90 days before the two-year anniversary of the date your spouse obtained conditional permanent residence. To remove the conditions, you must file Form I-751. An immigration attorney can assist you with this form. You must also complete a final interview for your adjustment of status, discussed in the next section. Your K-1 visa lawyer will guide both of you through the process of getting conditions removed so your spouse can become an LPR. The waiting time before your fiancée becomes an LPR is lengthy. Once all documents have been processed, you and your spouse will conduct a final interview with a USCIS official. If the official determines that your marriage is valid, and not a sham for immigration purposes, your spouse can obtain a K1 visa and move towards citizenship.